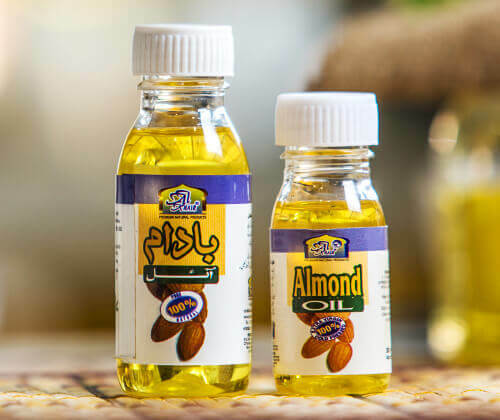 Almond oil is a rich source of antioxidants and contains only heart-friendly mono-unsaturated fats making it a wonderful remedy for heart diseases by improving cholesterol levels and lowering blood pressure. Almond oil moisturizes dry skin and soothes chapped lips and prevents diseases such as eczema. When used on the scalp, almond oil will help to strengthen your hair, prevents hair loss and dissolves away dandruff from the scalp. You may take sweet almond oil orally as a laxative. It promotes defecation and relieves constipation. 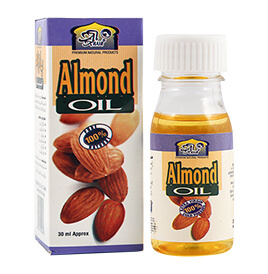 Almond oil can also help to settle your stomach and balance your digestive system. A teaspoon with warm milk is very effective for a good sleep.